To display images in your PDF template use the standard <img src="" /> HTML tag. The software will accept a URL or absolute path to the image file, although we’ve found using an absolute path to the image offers better cross-server compatibility and it’s the recommended solution. Run your images through a compression service like TinyPNG and/or resize the image to a smaller format. 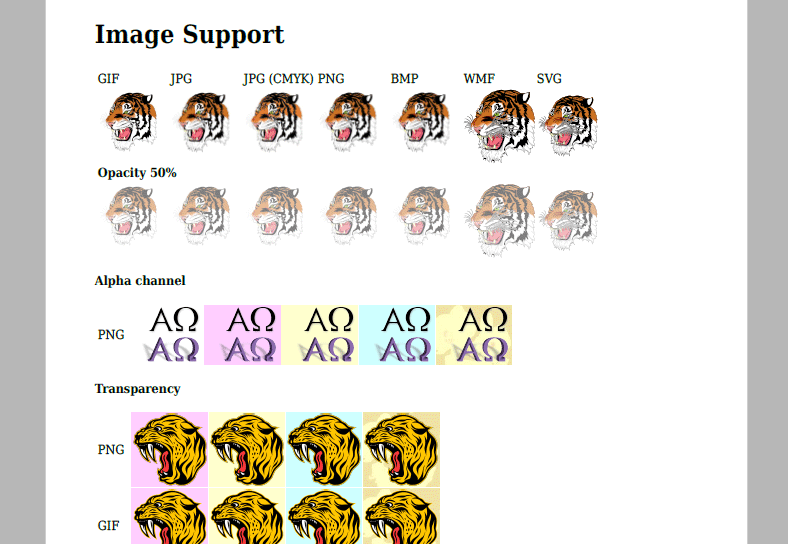 PNGs with no alpha channel or transparency come in a close second to JPGs. You can only have one floated image left and one floated right per container. Unlike your browser (which will overflow the image out of the container), the containing HTML element is extended at the bottom if necessary to enclose the floated image. Floats are ignored if the image is too wide for the container, inside a table, or page-break-inside: avoid is set. We’ve put together a sample showing off the image capabilities in Gravity PDF. View the mPDF documentation for more information about image support.